Offers a complete doctor and nutritionist supervised protocol. This is hormone therapy for medical weight loss and should always be followed with access to a licensed medical doctor. In addition, it is much easier to stay on protocol with expert support and guidance! 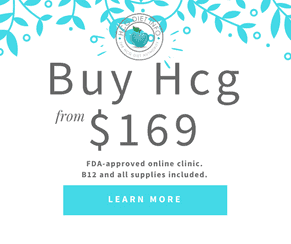 The Hcg and all of their products are made and shipped from a USA licensed pharmacy. This is the only way to be certain the Hcg was made under strict FDA regulations for your personal safety. This is a legitimate telemedicine company that is FDA approved and can be trusted with your personal information and safety. I am happy to say that My Diet Doc meets all of these standards and more. Diet Doc is located in San Diego, California and specializes in custom HCG Diet weight loss programs. All of their programs are through the FDA approved practice of Telehealth and telemedicine. They have a team of doctors and licensed nutritionists that specialize in weight loss and weight management, so it’s simple to transition after reaching your goals. They also offer a number of prescription grade supplements and HGH (human growth hormone) in addition to Hcg (human chorionic gonadotropin) for those who want to focus on long term health and vitality. I personally opted to continue with HGH and various lipotropics and B12 between my HCG rounds, but I’ll share more of this in a bit. Diet Doc works ONLY with U.S. made HCG and supporting products. Again, if you read my blog regularly, you know the risks of purchasing overseas counterfeit Hcg. This is an important factor when choosing a trustworthy source for your HCG and other prescription products. They work directly with an FDA accredited and licensed compounding pharmacy in California. Their HCG is pure, and of the utmost quality. You will find an image of their 3rd party certificate of analysis below. I regularly request these from all sources I recommend, as evidence that their products are made in the USA, and exceed the FDA standard requirements. For example, the FDA requires prescription HCG to have a 92% potency rating by 3rd party. DD regularly tests over 100% and in their last certificate, you will see it was 109% potency. This is exceptional! Their approach is both similar to other telemedicine Hcg Diet companies, with a few differences that really set them apart. The biggest one in my eyes, is how they are adamant about customizing the Hcg Diet plan for each patient. 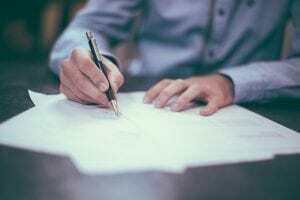 While other companies may customize the plan AFTER the patient has started, DD is the only company that offers a completely custom program from the start. This is based on the medical background, physical profile and personal needs of the patient. From the start, DD makes it easy to enroll in their HCG weight loss program. You simply follow the link below, and choose between a 30 day or 60 day Hcg kit. There is the option to choose injections or tablets. You can also include add-ons to maximize your weight loss efforts: B12, fat-burning lipotropics injections or tablets, and some amazing pharmaceutical grade appetite suppressants (HCG diet friendly!) Once you have chosen the products, you will be prompted to complete a medial questionnaire on the next page. This is brief and the same you would complete in a local doctor’s office. After reviewing this, a medical doctor will reach out to you via telephone and go over your medical profile and the protocol. 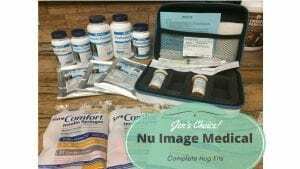 If all looks good, you are approved for the program and the doctor submits a prescription to the pharmacy, who then ships your kit directly to you. From this point on, you have access to their support team and your prescribing doctor to help you reach your goals. When I was first considering them, I insisted on multiple conversations with their support team and chief physician. After all, I wanted to know they could meet my needs as well as those of my readers. 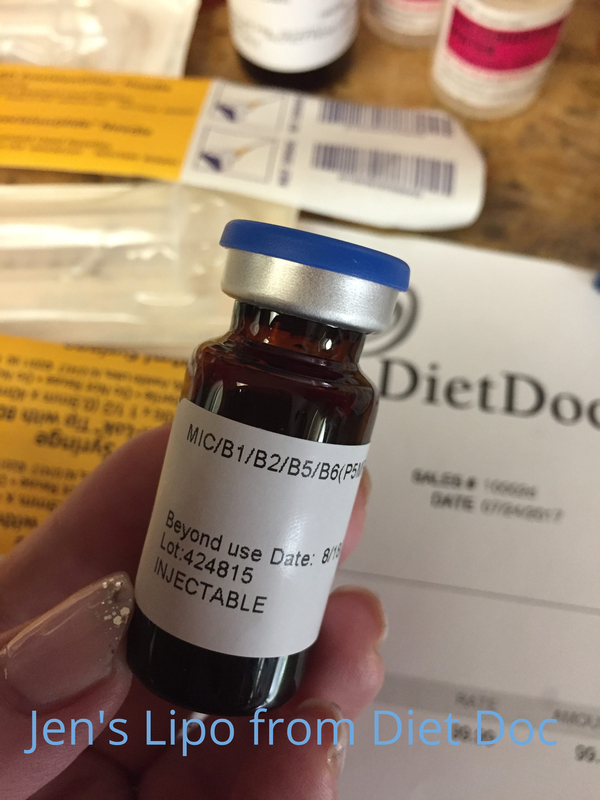 Diet Doc actually customizes each and every client’s personal Hcg weight loss plan with a tailored dosage, food and calorie allowance, and year-long support from licensed nutritionists. Today, I ordered the next round I need to lose the baby weight, and I chose DD because of their custom approach and open-minded support options. You see, I want to follow the original protocol but with a slightly increased calorie allowance. 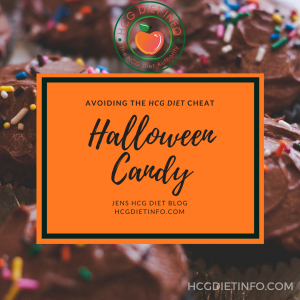 I still want to stick to the original Hcg diet list of allowed foods, but I prefer to stay more active (walking, yoga, swimming and pilates) so I’d like to add more vegetables and a bit more protein than the 500 calorie menu’s limit. I know by experience that Diet Doc will support this, and with solid advice from a licensed nutritionist. Once completed, I received an order confirmation and had to wait about 20 minutes before the email came with the link to “My Diet Doc” patient portal. Once I registered with the portal, where I was able to complete my medical background information and finalized my payment preference (this is where you can submit your health insurance information if appropriate.) This was really simple; it was 2 forms- one for medical background and one to agree to their terms of service. I was lucky enough to get Dr. Rao this time; the chief physician at DD. He was great! He reviewed my medical questionnaire and asked me a few more questions to be sure I was in good shape for the diet. He asked multiple times if I had any questions, wanting to make sure I had all the answers I needed before prescribing my hCG. This was a pleasant experience that left me with peace of mind and eager to start my weight loss journey. 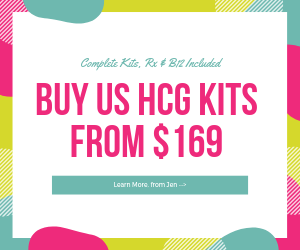 It took 3 business days for my hCG kit to arrive (although they also offer overnight shipping- I didn’t need that this time.) I’m eager to have my consultation with the nutritionist and go over my food requests. I will update next week! Diet Doc specializes in customizing the Hcg Diet Plan for each client. Diet Doc uses REAL, authentic prescription hCG injections and tablets shipped from a USA licensed pharmacy directly to your door. Valid and legal doctor’s prescription is included with each order; no co-pay, no additional fee. They accept Health Savings Account health insurance payments and can even help you have your insurance reimburse you for your HCG and supplies. This is possible because Diet Doc operates as a virtual doctor’s office- a feature no other Hcg source yet offers. All prescription products are shipped from California, USA, directly from their FDA accredited pharmacy. Access to a licensed HCG Diet expert Nutritionist for one year- included. Options to purchase energizing B12 Shots and fat burning Lipo MIC Shots as well as Sermorelin (HGH Therapy) and other supplements. Diet Doc is the first Hcg source to provide health savings and flex insurance reimbursement for HCG and supplies. I don’t think I have been this excited since telemedicine was legalized in all states and became a “normal” practice for medicine! They have made it a pretty simple process as well, where you can order your HCG, supplies and supplements, and then submit the paperwork to your insurance company for reimbursement with their proven insurance codes and paperwork. I will also add that my friend (yo Kimmy!) ended up saving money for the month she was on the diet. 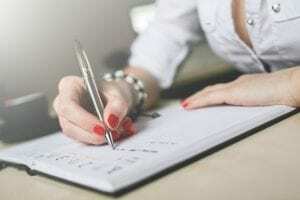 Her insurance company covered her HCG and supplies and her carefully selected grocery list came out far less than her regular grocery list and dining out. Her total savings was over $300 for the month. Diet Doc offers USA made HCG that comes from an FDA approved pharmacy, located in San Diego, CA. Over the years, I have seen too many cases of health safety issues and concerns from buying overseas HCG. I have also seen enough quality concerns (no fun having to replace low potency hCG or deal with hunger challenges due to weak or fake hCG) to say it’s just not worth saving a few dollars when one considers the risks of buying from overseas pharmacies. 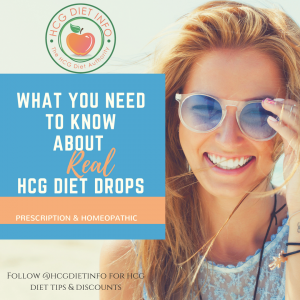 That said, I am thrilled to find that Diet Doc is an HCG source that recognizes the importance of quality and American pharmacy standards. In fact, their potency exceeds the FDA standard of 90% and maintains a level of 98% to 108%. Diet Doc Offers Effortless HCG Ordering Process & Lightning Fast HCG Shipping. This is a huge plus for me. I am always looking for steps in the ordering process that may hinder or slow down the final goal here. 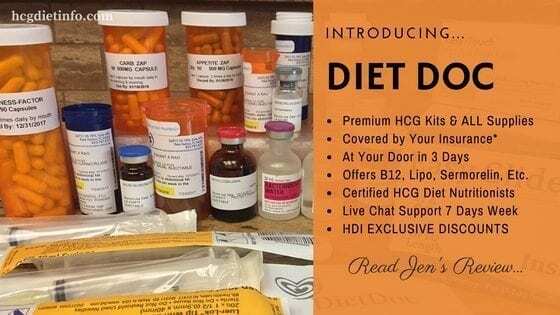 Diet Doc has a simple shopping cart set up, where you can add your HCG and supplies, complete a very brief medical profile and sets you up for same day consultation with a real live medical doctor. Your prescription is included. Shipping… this was another huge perk for me- I chose overnight shipping and it was there, the next day around noon. 2 of my friends opted for “normal” shipping and had it in exactly 3 days, via FedEx with no signature required. This is by far the fastest shipping I have come across, from order time to delivery. 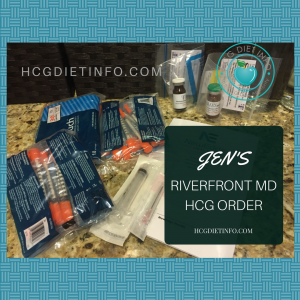 My HCG arrived with all of my supplies included; bacteriostatic water, mixing syringes, alcohol pads, injection syringes… so, absolutely everything was at my door at exactly the same time. I do appreciate convenience! Packaging was simple with everything packaged correctly. One thing I also appreciated… all vials that are sensitive to light for longer-lasting potency, come in dark amber vials. Well done Diet Doc! I’m a stickler for potency, so this stood out to me immediately. All vials came inside of actual prescription bottles and both had my name and all relevant prescription information on them. All syringes, bacteriostatic water, supplements and even the alcohol pads, also had my name on them with a valid prescription label. OMG I could kiss every person at Diet Doc responsible for this! To actually have certified KNOWLEDGEABLE HCG Diet specialists at hand, and true nutritionists… amazing. The few times I have called, I could tell immediately that I was talking to someone who truly knew the diet and was looking for make the protocol conform to my personal needs. They were not merely reading off a standard Q&A sheet, nor was I just talking to a helpful nurse- these were genuine experts (and a pleasure to speak with, I will add 😉 ) Particularly for those who are new to the HCG Diet, this alone would be a reason I would recommend Diet Doc. 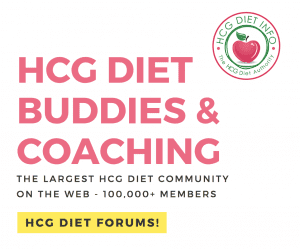 You WILL have questions and it is priceless help during your HCG round, to be able to pick up a phone, or even IM with someone who truly knows the diet in and out. Options to purchase B12 Shots and/or Lipo MIC Shots as well as Sermorelin and supplements. Personally, I am a huge fan of B12 and Lipo and I take them even when I am not on HCG. My hubby is a former professional bodybuilder, and MMA athlete- I have learned a great deal about these supplements from him. I also have a number of friends who are professional athletes and even fitness models- there is a reason these people look so fabulous and are in such amazing shape- so I have been paying attention… and I have learned a lot. Namely… they take the right medications and supplements. These almost always include a combination of HCG and Lipo injections. The next most popular is Sermorelin which I have now added to my routine and I am extremely impressed and am looking forward to sharing my results. 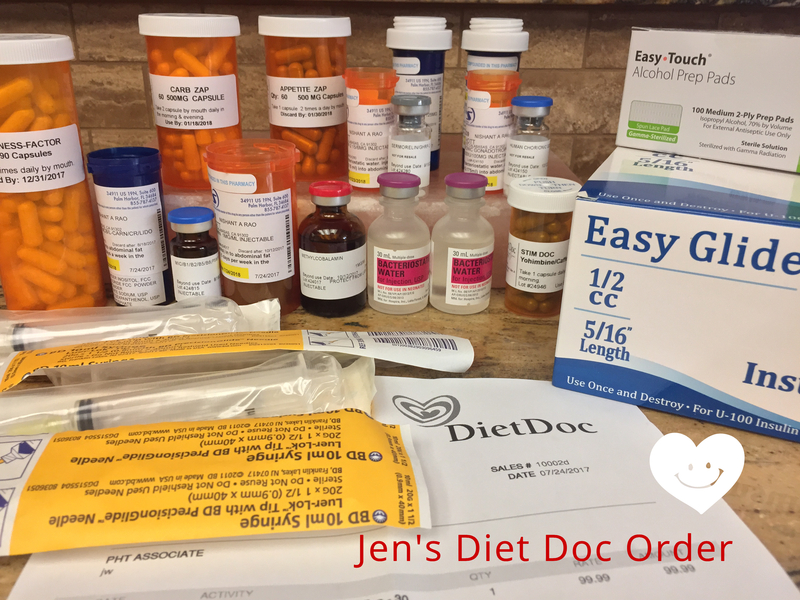 As you can tell by my Diet Doc review… Overall I am so thrilled with Diet Doc and excited that they are now opening their doors to a larger number of clientele after nearly 9 years in business. I’m excited that they are so eager to customize their program for each of my readers, and offer a discount as well… not only a discount, but for most of you, there is the option to have your insurance pick up the tab to get you to a healthier new you. I want to know how can I get the medicine/complete diet plan in Pakistan and Saudi Arabia. I had a very different experience with Diet Doc. Would never recommend. I’m sorry you had a negative experience. I hope that you had some success in your round regardless. My experience with DietDoc was that they did everything possible to rectify any problem or issue I was having. Did you give them a chance to do that?